Just before a USTA tournament or league match begins, the official walks onto the court and stands near the center of the net. Whether you are engaged in the warm-up or walking onto the court, that is your cue to meet with the official. Does anyone really ask questions in the last seconds before a match begins? Yes. 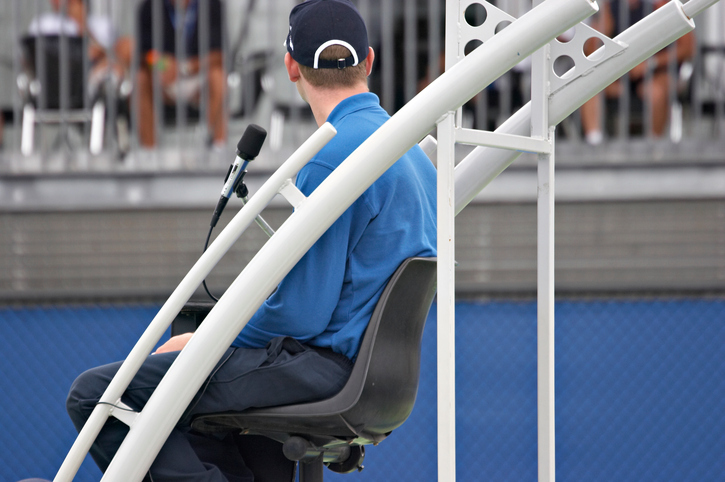 Some questions are generated by a players’ inexperience at their first officiated event. Others are due to pre-game jitters. Some players engage in a devious master plan to put opponents on edge with their insightful questions. USTA staff and officials are prepared and have heard it all. How much time do we have at change-over? Ninety seconds. Think of it as one minute to sit and 30 seconds to adjust your socks, gather the tennis balls, and walk over to your side of the court. Can I defer after winning the toss? Yes. If you win the toss, you have three options: Choose the side of the court or whether to serve or receive or whether to defer. With a brilliant glaring sun, the decision to defer may be an advantage. You win the toss and defer. Your opponents choose to serve. You select the side that forces their first service game into the sun. What if my opponent makes a bad line call? Or has a double bounce on their side? Those are your opponents’ calls. Enjoy the game and relax. Most matches have three line calls that players on the court see differently. You have the right to ask for an official. In nearly every case, you are playing against responsible honest people who may have misjudged exactly where the ball touched down near a line on their court. What if my glasses break, my shoe comes untied or my wardrobe malfunctions? You have a reasonable amount of time to tighten, re-tie or replace wardrobe items. Ideally, the items will be in your bag on the court, or perhaps in a bag nearby with a spectator. What if I get hurt and am bleeding? If you are bleeding, perhaps from the nose or a cut, a trainer, team member or spectator may help you stop the bleeding and clean up the court. Officials will be hovering to ensure the game re-starts as soon as possible and within 15 minutes. If you cannot stop the blood or have a second nose bleed, you must retire and the opponent wins the match.